Making the switch from using white flour (either bleached or unbleached) can be tricky. Whole grain flours can be harder to work with in the beginning. When we swapped from using "normal" flour to grinding our wheat ourselves I thought I wouldn't be able to make a loaf of sandwich bread, a cake that didn't crumble or cook a crepe ever again. 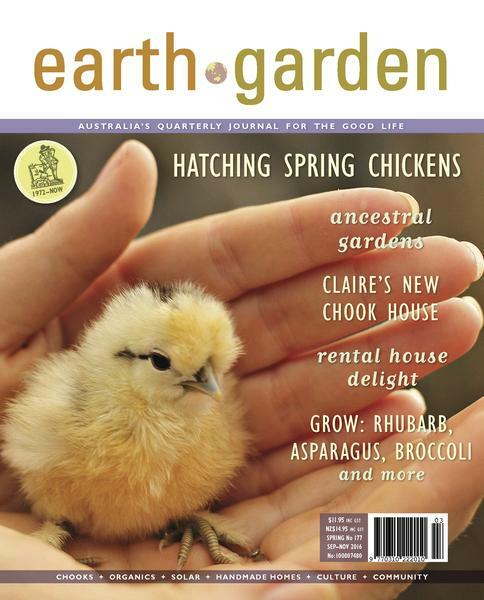 I looked for tips and advice but had trouble finding it as we were a year or two ahead of the whole food movement and information on baking with alternative ingredients was limited. We've been grinding our own flour for about 5 years now, and I can tell you that cooking a whole batch of crepes is a breeze and that spelt makes the best tasting, fluffiest pancakes you've ever had. Of course you don't have to go to the length of grinding the grain yourself. Whilst this is a great option if you want your flour to be truly fresh and thus maximise the nutritional value of the flour, all good health food stores will stock a range of alternative flours. Our local store stocks whole wheat & spelt, unbleached white spelt, and rye flour. It also stocks the whole grains for you to grind yourself. Most of the time these products are also certified organic. You can also purchase flours online. 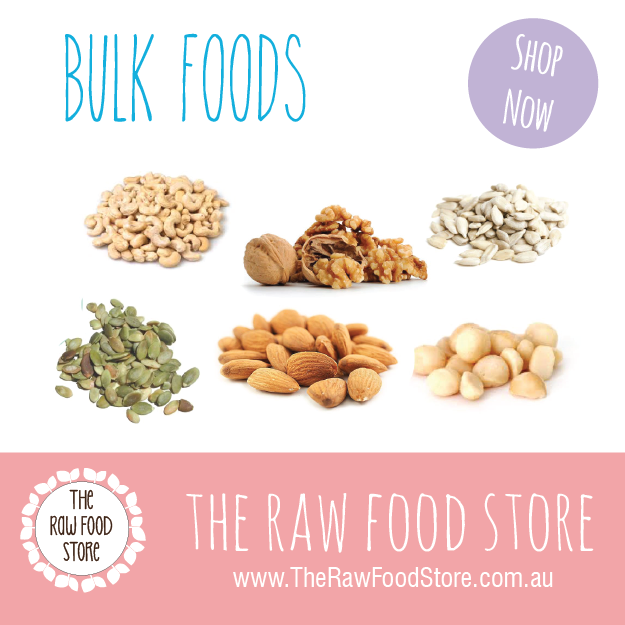 Bulk Whole Foods have a good range of flours and whole grains. If you only want to bake with whole grain flours sometimes, buying it in small bags from a retailer is probably your best option. If however, like us, you wish to swap entirely to all whole flour baking, and you are going to do it regularly, then a more cost effective option is to join a local co-op. 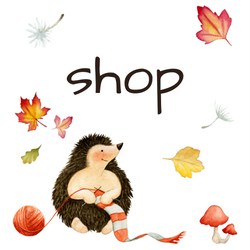 Our co-op orders every few months and because a group of us are buying bulk, we get the goods for wholesale prices. For pastry, chose a "rich" pastry recipe, i.e one with a higher butter content. Make sure you chill the pastry well and handle it with care. Rolling it between two sheets of baking paper is ideal for whole grain pastries. Eleanor has a delicious Spelt pie crust in her book that is great for savoury baking. For yeasted bread baking, I found a wetter, sticky dough resulted in a perfect, light loaf. If making a sandwhich loaf, a smaller loaf works better, i.e 350-400gm. 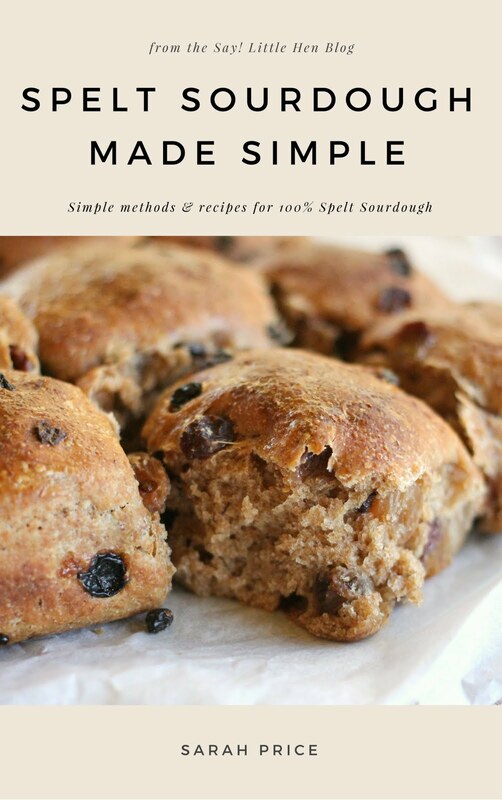 For sourdough I've written all about it in my eBook, Spelt Sourdough Made Simple. Head over here to find out more about making whole grain sourdoughs. For pancakes and crepes, Spelt makes the best tasting ones around! To get your crepes to work, it's all a matter of eggs. My basic crepe ratio is 2 eggs to every 1 cup of flour. The eggs will give your crepes strength which they need as they are so very thin. I've made Spelt pancakes without eggs heaps of times (like when the chickens take laying holidays) and with a good whisk they come out beautifully fluffy. For cakes, muffins and biscuits, I simply use any recipe that takes my fancy and swap the flour mentioned for Whole Wheat or Spelt. Easy peasy. Are you a whole grain or white flour baker? If you're thinking about using Spelt or whole wheat flours, or are struggling as I did in the beginning I hope this post has helped! If you have any questions about baking with alternative flours that weren't covered here, please comment below or email me, I'm happy to help! Do you have any tips for baking this way? Add them below in the comments! 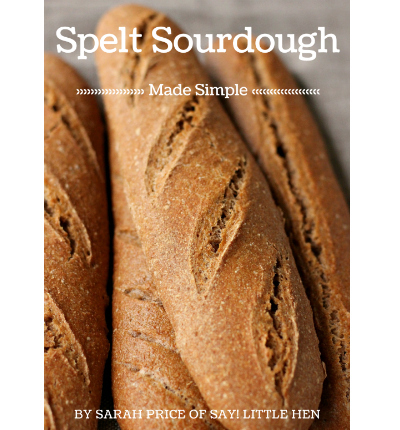 If you enjoyed this post, you may also enjoy my eBook, Spelt Sourdough Made Simple. Designed for baking with whole spelt flour (and other variations of spelt) with no mixing in of other flours - this is truly 100% spelt sourdough. Also suitable for whole wheat flour baking. Learn more or purchase your instant download copy here. Thanks for the baking tips! 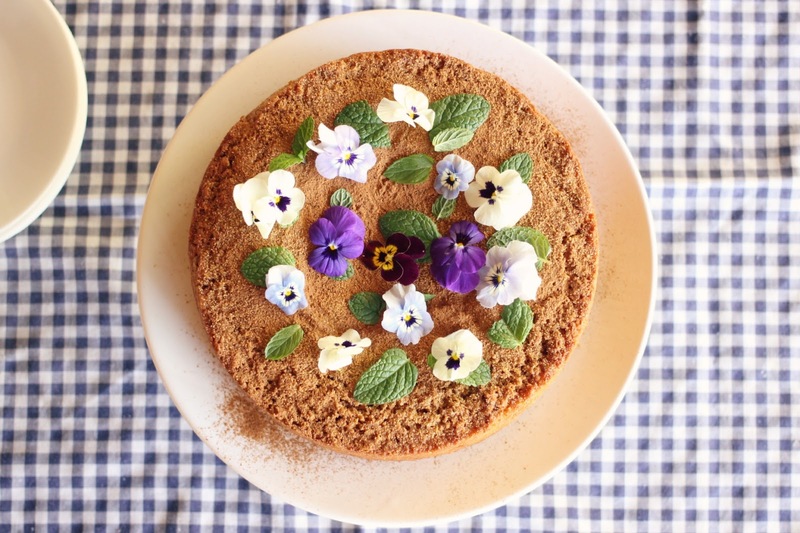 Your cake looks almost too lovely to eat. These are good tips, thanks for sharing. I'm making the transition as well and most things do come out hard and heavy, so I appreciate the help.